For the crust: Preheat the oven to 375 degrees F. In a bowl, mix the graham cracker crumbs, sugar, and butter with your hands. Press the mixture firmly into a 9-inch pie pan, and bake until brown, 10 to 15 minutes. Remove from the oven and allow to cool to room temperature before filling. For the filling: Lower the oven temperature to 325 degrees F. In a separate bowl, combine the condensed milk, lime juice, and eggs. Whisk until well blended and place the filling in the cooled pie shell. Bake in the oven for 15 minutes and allow to chill in the refrigerator for at least 2 hours, and up to overnight. 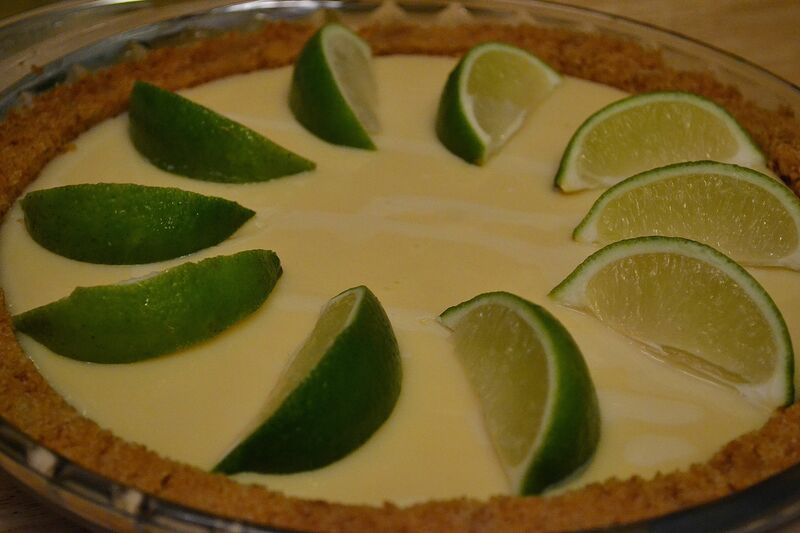 Serve with slices of lime and sweetened whipped cream, if desired.